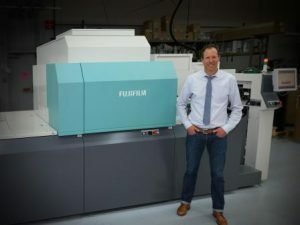 FUJIFILM North America Corporation, Graphic Systems Division’s J Press 720S allows for profitable high-end, short to medium runs at Yorke Printe Shoppe, a Chicago-area print services provider. Prior to their purchase, Scull and his associates visited Fujifilm’s Americas Technology Center, and provided their own intricate print files to evaluate J Press 720S’s capabilities. Scull invited his entire sales team to be part of the purchase decision. And while looking at other options, he asked them, ‘what would make you most excited when talking to a customer about new technology?’ With a heavy emphasis on ‘what can it produce’ and ‘what can you sell,’ the overwhelming response was Fujifilm’s J Press 720S, and expectations were ‘very high’ as Yorke moved ahead and invested in the future. Yorke has been keeping a close eye on digital technology for a long time, especially the high-end market since that’s their niche, with most of their clientele aspiring to achieve a high-end appearance on coated and uncoated stocks. With a 29.5 inch x 20.9 inch sheet and an output of 2,700 sheets per hour, Fujifilm’s second generation sheetfed J Press 720S is an ideal solution for printers like Yorke because it offers the quality and robustness of an offset press, and the versatility to handle even the shortest of press runs. The configuration at Yorke is capable of printing 60 lb. text weight to 14 point board stocks; while other configurations are available to run heavier weight stocks, from 8 point to 24 point board stocks. With run lengths continuing to be shorter to meet client needs, color consistency was also key for Yorke, and one of the most defining features of the J Press 720S. “When comparing the quality of color consistency – and even the dot itself – on the J Press 720S with several other options, at this point I feel like it’s head and shoulders above the rest,” adds Scull. Scull does not enjoy the luxuries of a corner office lined with windows. His desk is in the middle of production, as he prefers to be where the action is, amongst all his colleagues. Yorke is truly a family affair. Scull’s wife pitches-in as well, working the reception desk, assisting in accounting, and providing an extra set of hands, along with their daughters, as needed in the fulfillment-area. 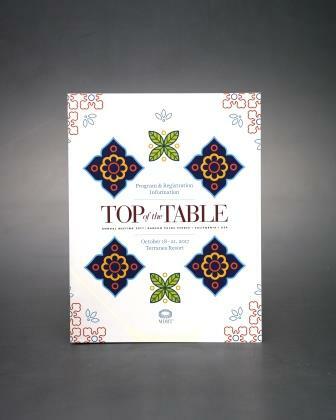 To learn more about Yorke Printe Shoppe, please visit: www.yorkeprinte.com.